Contacting Brownstone Real Estate Co.
House Calls Realty, its service providers and all vendors providing products or services through our Site use your personal information to, among other things: operate the Site and fulfill your requests; and conduct research. House Calls Realty also automatically receives and records information on our server logs from your browser, including your IP address, cookie information and the pages you request. We intend to continue improving the content and function of our Site, and we monitor customer traffic patterns and site usage to help House Calls Realty provide content of interest to you, add and improve features of our Services and enhance the design and layout of our Site. Under certain circumstances, House Calls Realty may choose to trade, sell or rent your personal information with trustworthy third parties. Also, if House Calls Realty should ever file for bankruptcy or merge with another company, we may sell the information you provide to House Calls Realty on this Site to a third party or share your personal information with any company with whom we merge. Users who would rather not provide any of the information requested by our registration process do not need to register with House Calls Realty. You can still view some of the content available on our Site without registering. You will, however, need to register to access most of the information available on our Site. We work with many publishers and their agents to provide you with access to the content available on this Site. Accordingly, certain items and content on the Site are delivered to you by companies other than House Calls Realty. This includes property and community information. In the cases where you purchase an item on our Site that is fulfilled by another company, you become a customer of the publisher or seller of that item, and we will provide certain of your personal information to that third party. We typically provide personal information such as the item purchased, the price you paid, your name, your email address and your mailing address. We may also ask you to provide us with certain marketing or demographic information at the time of your purchase. If you choose to provide us with any such marketing or demographic information, we may be contractually obligated to share this information with the applicable third party. We generally have no control over how the third party will use your personal information, which might include direct marketing of other products from the same company, or the marketing of your name and address to other companies for the purpose of marketing other products and services to you. You can let us know that you do not wish to receive information about new features and special offers by sending an e-mail. You can also “opt-out” of having your information shared by sending and email us. Please note that you will not be able to opt out of House Calls Realty sharing certain of your personal information with a third party from whom you choose to purchase items through this Site. To cancel your House Calls Realty account, you will need to contact us. The personally identifiable information we collect about you is stored in limited access servers. House Calls Realty intends to take reasonable and appropriate steps to protect such information from unauthorized access or disclosure. While we make efforts to ensure that your information is secure on our system, no data transmission over the Internet can be guaranteed to be 100% secure. As a result, we cannot guarantee the security of any information you transmit to us, and you do so at your own risk. Please keep your password in a safe place and do not to divulge it to anyone. Also remember to sign off your account and close your browser window when you have finished your visit. This is especially important if you are sharing a computer with someone else or are using a computer in a public place such as a library or Internet cafe. Your account is protected by your password. You choose a password when you first start an account with us. Your password needs to: – be at least 5 characters long (case sensitive) – include both numbers and letters – not contain symbols (*, $, #, %, etc.) Make sure to select a password that is not obvious. A good password includes seemingly random letters and numbers, for example, F3M8N1. This Site is not intended for or directed to persons under the age of 18. House Calls Realty does not sell products for purchase by children. 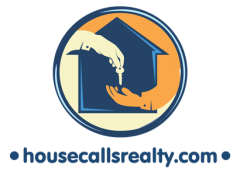 Any person who provides their information to House Calls Realty through the registration page for new users or any other part of the Site represents to House Calls Realty that they are 18 years of age or older. 9. Contacting Brownstone Real Estate Co.